Keyed Alike means that all locks will open with the same key. Keyed Different means that each locks will require a separate key. 1-KeyPull (The key comes out of the lock in the locked position). 2-KeyPulls (The key comes out of the lock in the locked and unlocked positions). Cobra 7 Cam Lock 1-1/8" (28mm) length with threaded end. Constructed of polished zinc alloy with brass combination pins. The unique 7-Sided Lock Front matches with our 7-Sided key. This lock can be Keyed Alike or Keyed Different. Locking Cam with lock nut. Mounting Nut is included with Lock. Don't forget to order Cut Keys and Locking Cams. Max material thickness is 7/8"
The cam lock length is what we call the "A" dimension. This is the measurement form behind the head of the lock face to the start of the locking cam. 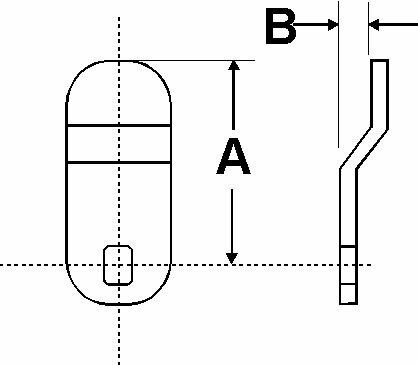 The below figure shows this measurement. 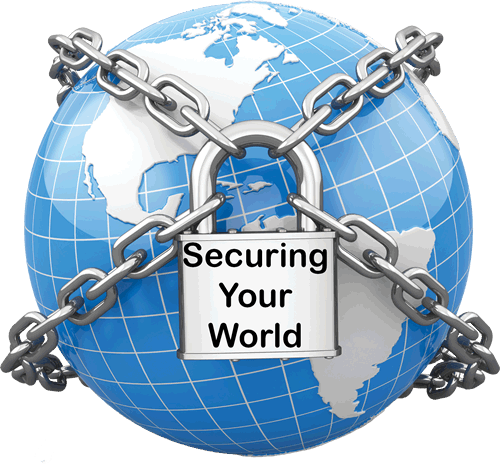 Locking Cams are Constructed of zinc plated steel and come in either straight or offset. 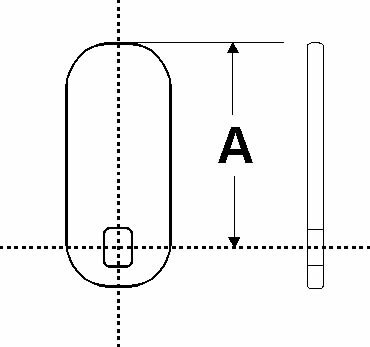 The length of the Locking Cam is the "A" dimension and is shown below.